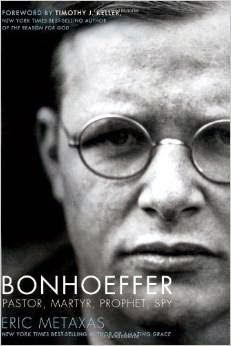 Hear more of the story of the events that took place in Germany, the actions that Bonhoeffer made, how the people reacted, what ultimately transpired in a 1940s Germany, how applicable these events and truths are to the events we are seeing today, and so much more. Also shared in this segment: Democracy, persecution, Israel, the Jews, Adolf Hitler, Woodrow Wilson, propaganda, Hillary Clinton, Saul Alinsky, Joseph Goebbels, Al Sharpton, Supreme Court, Mein Kampf, the Holocaust, Cloward and Piven, Yemen, Libya, Baltimore, humility, warnings, and wisdom. Greg and John shared in this segment.